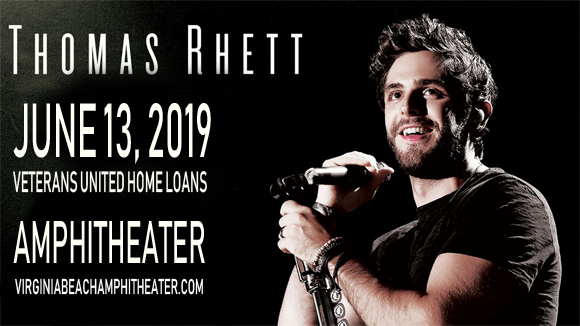 It's going to be a Very Hot Summer for Thomas Rhett as he brings his sizzling new tour to venues across North America this year, touching down at Veterans United Home Loans Amphitheater on Thursday 13th June 2019! Not only will the rising star be performing a full headline set of fan favorites, songs from his most recent album, Life Changes (2017), and brand new material, but he'll also by joined in support by Dustin Lynch & Russell Dickerson, as well as his father, Rhett Akins! It's gonna be one hell of a show! After making his name in Nashville writing for artists like Jason Aldean, Lee Brice, Florida Georgia Line, LoCash and Michael Ray, American country music singer and songwriter Thomas Rhett released his debut single, "Something to Do with My Hands", in 2012 on Valory Music (an imprint of Big Machine Records). The single was a Top 30 hit on the Billboard Hot Country Songs Chart, as well as his second and third singles "Beer with Jesus" and "It Goes Like This" (which peaked at Number 2 and topped the Country Airplay chart). His debut studio album, also titled It Goes Like This, was released in 2013, entering the Billboard 200 at Number 6 and the Top Current Albums chart at Number 2. He has released three studio albums to date, including his most recent – Life Changes (2017).